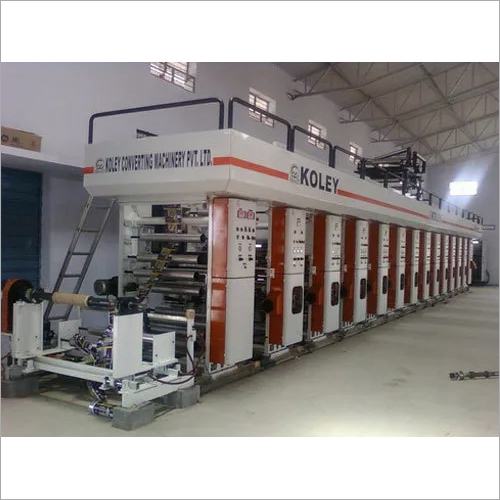 In India, we are a prominent Gravure Printing Machine Supplier, Manufacturer, and Exporter, of a comprehensive ambit of Foil Printing Machines. These range of products are used for continuously printing such as packing products, various plastic film, currency, cloth and thin leather. All these machines find they extensive applications for printing mediums of low and high density polyethylene, polypropylene, aluminium foil, paper and other flexible packaging material. To manufacture these high-grade machines, we make use of optimum-grade raw materials and technologically advanced machinery.